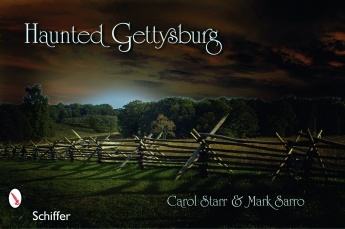 Gettysburg, Pennsylvania, is one of the most haunted places in the world. For three days in July, 1863, the fields, farms, and town were left blood-soaked and piled high with wounded and dead soldiers from both the Union and Confederate armies. At the Jennie Wade house, meet an angry spirit in the basement, who tries to keep people away. Learn about the negative spirit at The Soldiers Museum that had paranormal investigators chasing it through darkened hallways. Hear the tortured children in The Orphanage basement that still romp and play there. Tour the Triangular Field to see Confederate soldiers who still battle and hear a lone bugler who plays Taps late in the evening at The Wheatfield. Feel the torrential rain storm that never happened near Picketts Charge. The dead in Gettysburg are alive and waiting for you.